The family Parvoviridae contains diverse viruses that are capable of infecting a wide range of hosts. In this study, metagenomic sequencing of Ixodes ricinus ticks harvested in 2016 on red deer (Cervus elaphus) and European roe deer (Capreolus capreolus) in Belgium detected a new 6296-bp parvoviral genome. Phylogenetic and sequence analyses showed the new virus belongs to a new species within the Copiparvovirus genus. PCR screening of 4 pools of 10 serum samples from both deer species identified the new copiparvovirus DNA only in roe deer sera. Together, these results are the first evidence of a copiparvovirus in a deer species. Besides its potential pathogenicity to roe deers, the detection of this new virus in ticks raises questions about the possible transmission of parvoviruses by ticks. 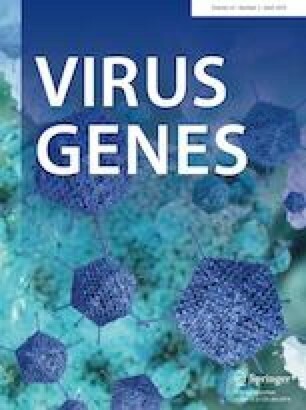 This report further increases the current knowledge on the evolution and diversity of copiparvoviruses. Edited by Juergen A. Richt. The authors thank Mathieu Franssen for excellent technical assistance. This work was partly supported by a grant from the Public Service of Wallonia and by the Research Council in Life Sciences of the University of Liège. Conceived the study: AL and MG. Performed research: GG and AL. Analyzed data: EB, JFR and MG. Wrote the paper: AL, EB, JFR, DD and MG. Informed consent concerns are not applicable.